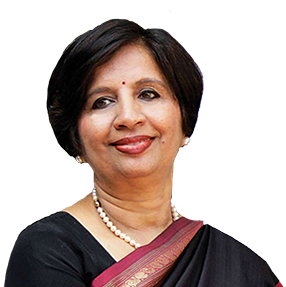 Nirupama Rao, based in Bangalore, India, is a Senior Advisor at ASG, where she draws on more than 40 years of experience as an Indian diplomat to advise clients on business strategies across Asia. Previously, Ambassador Rao served as India's ambassador to the United States from 2011-2013 and as India's Foreign Secretary from 2009-2011. She has also served as India’s first woman spokesperson in the Ministry of External Affairs, the first woman high commissioner from India to Sri Lanka, and the first Indian woman ambassador to the People's Republic of China. In addition, she has served as ambassador to Peru and Bolivia. She also served in the East Asia division of India’s Ministry of External Affairs for eight years where she specialized in India-China relations. Her global diplomatic experience extends to Moscow, where she served as Deputy Chief of Mission at the Indian Embassy. Since her retirement from active diplomatic service, Ambassador Rao has held a variety of academic posts, including the Meera and Vikram Gandhi Fellow at the India Initiative at Brown University; Visiting Scholar at the India China Institute at The New School in New York; Public Policy Fellow at The Wilson Center in Washington, DC; Practitioner-in-Residence of the Bellagio Center in Italy; and George W. Ball Adjunct Professor in the Discipline of International and Public Affairs at Columbia University. She is currently working on a book on India’s relationship with China, entitled: “Tell it on the Mountain: India and China, 1949-1962,” due at the end of 2019. In November 2018, Rao received the Fellowship of Peace Award conferred by the Mahatma Gandhi Memorial Center. She is also a recipient of the Vanitha Ratna Award of the Government of Kerala (2016), the "Citizen Extraordinaire" Award of the Rotary International, Bangalore (2018) and the Kalinga Karubaki Literary Award (Kalinga Literary Festival, Odisha, 2018). In 2012, she was named to the Global List of the 100 Most Influential Women on Twitter by foreignpolicy.com. Ambassador Rao is a member of the Board of Governors of the Indian Institute of Management, Bangalore; a member of the Advisory Council of the National Institute of Advanced Studies, Bangalore; and a Councilor on the World Refugee Council. She is also a member of the Advisory Council of the Women in Public Service Project at the Wilson Center. Ambassador Rao is the founder, with her husband Sudhakar, of the South Asian Symphony Orchestra, which draws together musicians from the eight countries of South Asia in a project that promotes cultural diplomacy and mutual understanding in the region. Ambassador Rao earned a B.A. in English from Mount Carmel College, Bangalore, and an M.A. in English literature from Marathwada University. She holds an honorary Doctor of Letters degree from Pondicherry University in India. In addition to English, she speaks Hindi, Malayalam, German, and Spanish.